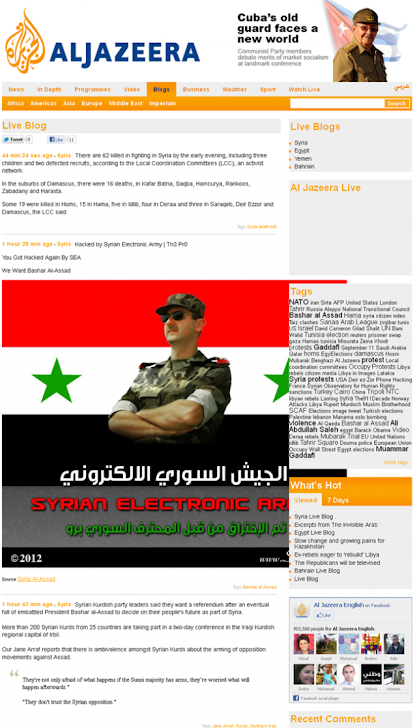 Arabic-language news network Al Jazeera‘s website was hacked last week by a Syrian hacktivist group in support of the government’s actions in the country. Aljazeera is broadcaster owned by the state of Qatar through the Qatar Media Corporation and headquartered in Doha, Qatar. Initially launched as an Arabic news and current affairs satellite TV channel, Al Jazeera has since expanded into a network with several outlets, including the Internet and specialty TV channels in multiple languages. Al Jazeera is accessible in several world regions. Hackers from cyria "ThePro" again hit aljazeera network They claim to hack the one of the network and post list ofemail and passwrds of aljazeera. 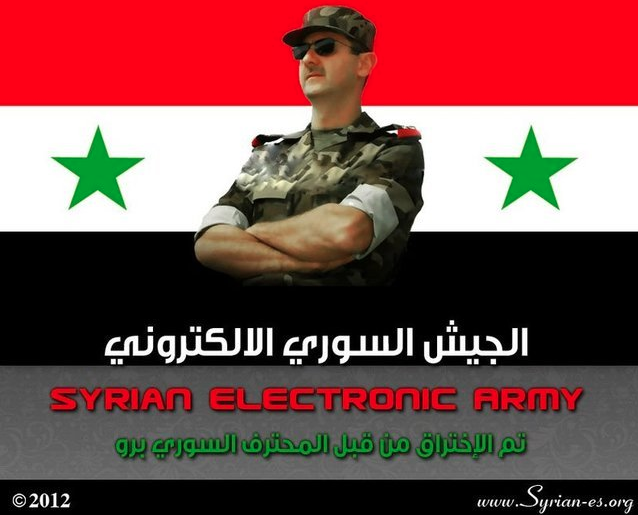 The Syrian Electronic Army is a collection of young Syrians, angry about the way the media and other sources are portraying the fighting in their country. They call it a “massive distortion of facts". Al Jazeera hosts a live blog called “Syria Live Blog,” which follows the minute-to-minute events taking place in Syria, including violence and various deaths in the region. Hackers Leak the Network Users Data : http://pastebin.com/Gk8Dg7H5 . Hackers also leak the Username/Passwords from following Portal and Mail sites on a pastebin note.